Santa Claus is a merry man. It was a very merry party. Merry Christmas is a popular greeting during the holiday season. 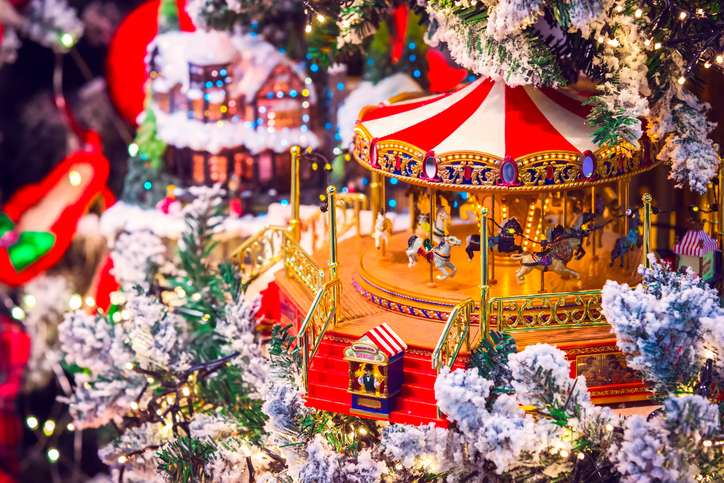 A merry-go-round is another name for a carousel. Judy Garland sings “Have Yourself a Merry Little Christmas” to cheer up her little sister in the movie Meet Me in St. Louis. They are not having a merry Christmas because they just found out that their family will be leaving their home to move to New York. But this song is hopeful that next year will be better. There are other meanings of merry.